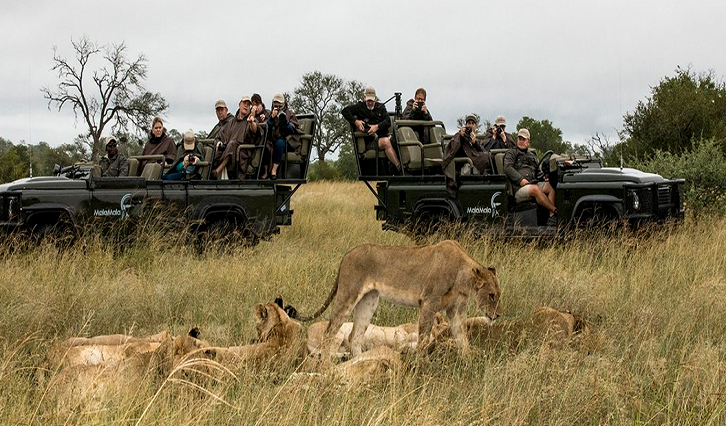 MalaMala is the oldest and most historical private game reserve in South Africa and the first to make the transition from hunting to photographic safaris. It’s the blueprint on which the South African safari industry was built. Award winning wildlife photographer, Gerald Hinde and author Will Taylor, have spent close to 30 years in the reserve and launched their book, ”The Big Seven” there this week. The book illustrates some of Africa’s most iconic species. The aim is for people to enjoy the book and to literally transfer themselves on to game drives. MalaMala Game Reserve has been in existence since 1927 and is the largest private Big Five game reserve in South Africa. It’s a haven for tourists, photojournalists and film makers to capture footage of wildlife and breath-taking animal encounters. It is the only game reserve in the region where the benefits of tourism directly support adjacent communities. Hinde and Taylor have spent over 30 years recording African animals, people and landscapes. The two first met at MalaMala in 1989 when Will was the senior game ranger and it’s a friendship that has grown over the years. After hours and hours in the bush, they published the The Big Five in 2003 which became the best-selling wildlife book in the country at the time. Other books and many wildlife films have followed, culminating in The Big Seven which according to experts, is some of their best work. “The magic of MalaMala has been in my heart for 29 years without MalaMala I would never have been able to turn professional as a photographer. They gave me the opportunity and I am so grateful for it. It’s the most magical place to spend time in Africa and the best place to see leopards,” says Hinde. “Gerald and I when we were developing the book his ideas were the photography to tell the story while mine was for the writing and some of my photos to take you on a journey to take you on a game drive to help you see what it looks like to have the opportunities to do what we do,” says Taylor. The post Evolution of MalaMala Game Reserve story told in a book appeared first on SABC News – Breaking news, special reports, world, business, sport coverage of all South African current events. Africa's news leader..